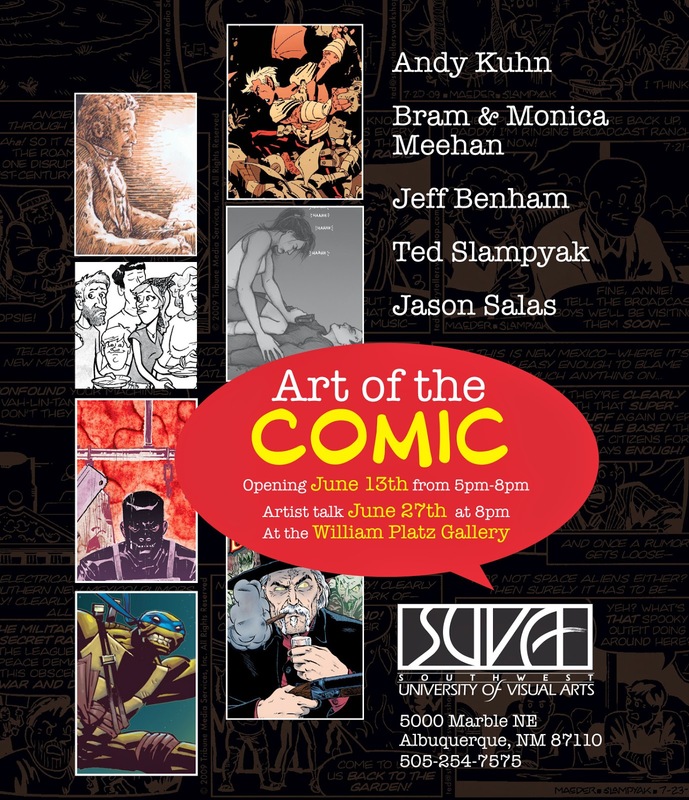 Check out The Art of the Comic opening Friday, June 13th. Come see the art and process of sequential artists Andy Kuhn, Bram and Monica Meehan, Jeff Benham, Ted Slampyak and Jason Salas. It is being hosted by the Southwest University of Visual Arts.